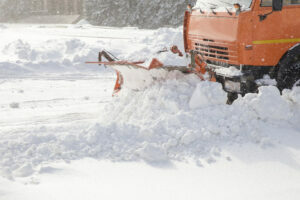 There are some things you ought to consider when choosing a snow removal company for your business this season. If you haven’t sorted out the snow removal plans for your commercial property this winter, now is the time to start examining and choosing a snow removal company. It’s important to keep your parking lot and property clear of snow so you don’t lose any business or productivity and ensure the safety of your customers, clients, and employees. But are you vetting the companies vying for your snow removal contract well enough? There are five signs you should be looking for that should raise red flags when you’re choosing your snow removal company. You’re taking an unnecessary risk on liability when you decide to work with an uninsured snow removal company. Always ask for proof of insurance when vetting a company. Also, check to make sure the company is certified by a reputable association such as ASCA. This ensures that the company has been checked out by a third party and meets quality standards. You should be seeking a snow removal company with a full complement of heavy-duty trucks and snow removal equipment such as snow blowers. And don’t neglect to check out the sidewalk removal crews. Companies that provide shoveling services ought to be considered, especially for retail spaces. In general, demand for salt is greater than supply and not every snow removal company can secure the amount of salt required for a given snow season. Ask for a guarantee that the company has enough salt and other ice-melting supplies to last the entire season. Good communication is critical during a snow event and especially important during an emergency situation. Make sure the contractor has multiple points of contact – phone, text, email, and meetings in person – and is available 24/7. You might think large crews are a good thing. They are able to clear lots quickly, but in general, these crews cover many different properties, so you may need to wait longer for a second plowing of your property. A snow removal company that uses smaller teams with smaller territories means your property can be well-maintained quickly. This entry was posted on Wednesday, November 16th, 2016	at 9:14 pm	and is filed under Snow Removal	. You can follow any responses to this entry through the RSS 2.0	feed. Both comments and pings are currently closed.